Welcome to the AG Photo Library. All photos are copyrighted by the individual photographer. No copyright image may be used without prior written approval. Once approved, the image must have the proper credit line and the photo links retained. Please click on the green "Buy Photos" button to order a color print (in various sizes and finishes) of any image (right and below). Please click on the "Slide Show" button next to the "Buy" button for a slide show of this gallery. Do you have any questions? Please e-mail Bruce Drum at airlinersgallery@gmail.com. 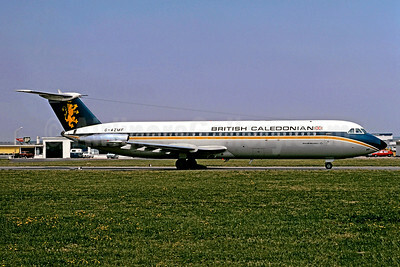 (formerly Caledonian Airways) (BCal) (BR/BCC) (London-Gatwick) 1971 - 1988. Photos. Framable Color Prints and Posters. Digital Sharp Images. Aviation Gifts. Slide Shows. 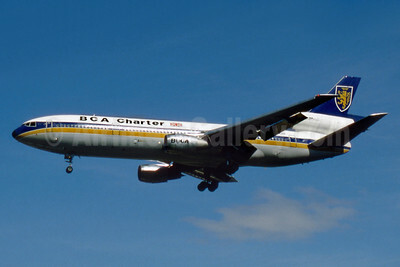 BCA Charter (British Caledonian Airways) McDonnell Douglas DC-10-10 G-BJZE (msn 46973) LGW (SM Fitzwilliams Collection). Image: 912983. 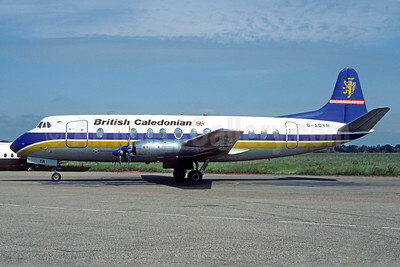 British Caledonian Airways (British Air Ferries) Vickers Viscount 806 G-AOYR (msn 266) (Christian Volpati Collection). Image: 934080. 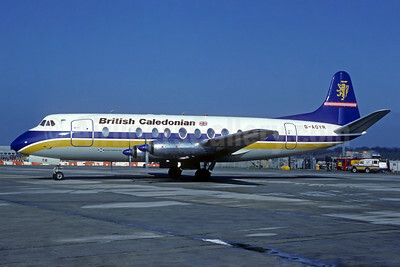 British Caledonian Airways (British Air Ferries) Vickers Viscount 806 G-AOYR (msn 266) LGW (Christian Volpati Collection). Image: 934081. 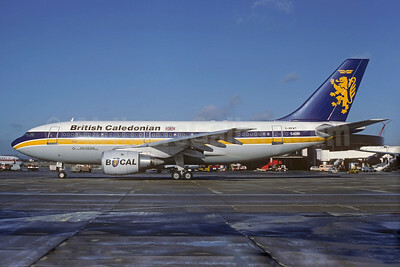 British Caledonian Airways Airbus A310-203 G-BKWT (msn 295) LGW (Christian Volpati Collection). Image: 934079. 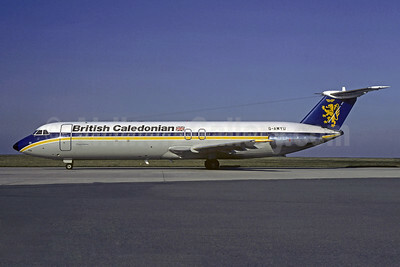 British Caledonian Airways BAC 1-11 201AC G-ASJH (msn 012) CDG (Christian Volpati). Image: 907582. 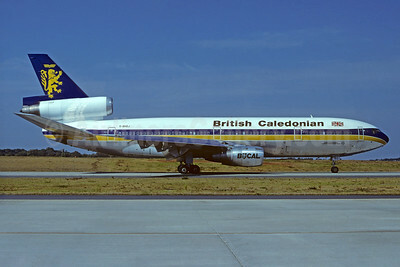 British Caledonian Airways BAC 1-11 201AC G-ASJI (msn 013) CDG (Christian Volpati). Image: 906466. 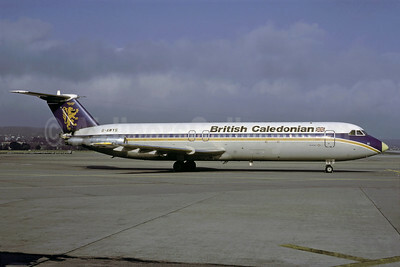 British Caledonian Airways BAC 1-11 501EX G-AWYS (msn 175) ZRH (Rolf Wallner). Image: 912984. 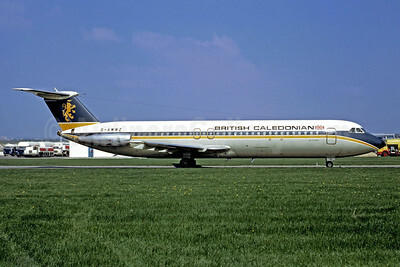 British Caledonian Airways BAC 1-11 501EX G-AWYU (msn 177) CDG (Christian Volpati). Image: 907583. 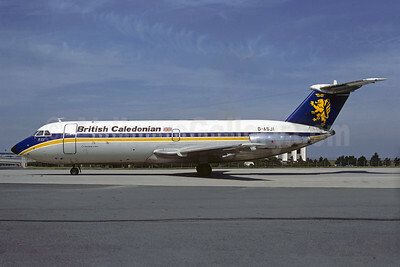 British Caledonian Airways BAC 1-11 509AW G-AWWZ (msn 186) CDG (Christian Volpati). Image: 912985. 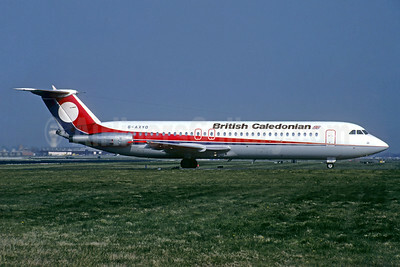 British Caledonian Airways BAC 1-11 509EW G-AXYD (msn 210) (Dan-Air London colors) LGW (Christian Volpati Collection). Image: 934077. 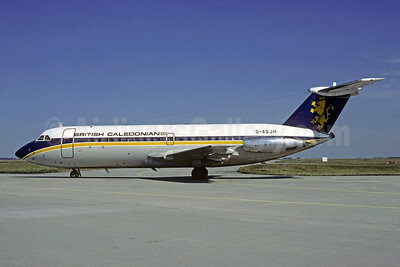 British Caledonian Airways BAC 1-11 530FX G-AZMF (msn 240) LBG (Christian Volpati). Image: 900777. 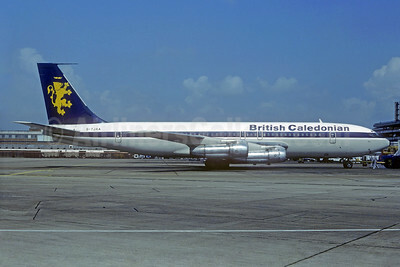 British Caledonian Airways Boeing 707-139B G-TJAA (msn 17903) (Olympic stripe) LHR (Jacques Guillem Collection). Image: 940122. 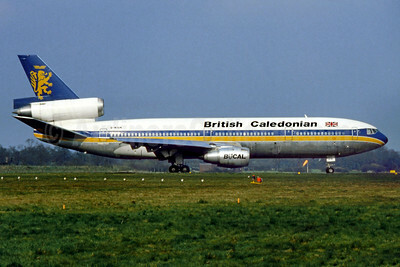 Best Seller - Named "Loch Leven"
British Caledonian Airways Boeing 707-355C G-AYEX (msn 19417) CDG (Christian Volpati). Image: 905659. 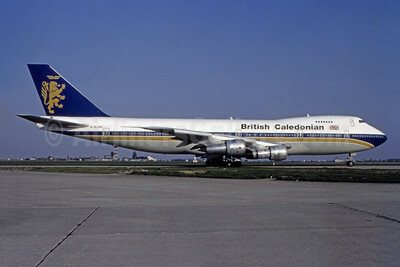 British Caledonian Airways Boeing 747-2D3B G-HUGE (msn 21252) LGW (Jacques Guillem Collection). Image: 940121. 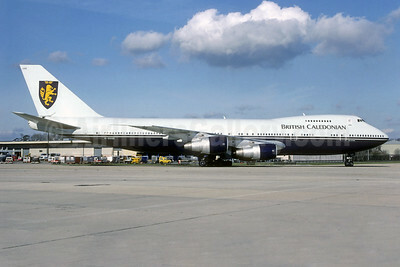 British Caledonian Airways Boeing 747-230B G-BJXN (msn 20527) ORY (Pepscl). Image: 944788. 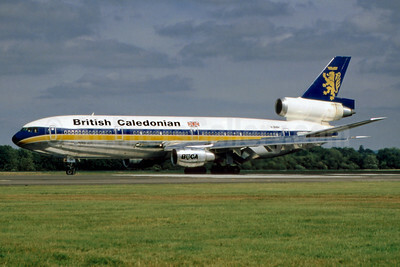 British Caledonian Airways McDonnell Douglas DC-10-30 G-BHDH (msn 47816) LGW (SM Fitzwilliams Collection). Image: 912986. "James S. McDonnell - The Scottish-American Aviation Pioneer"
British Caledonian Airways McDonnell Douglas DC-10-30 G-BHDJ (msn 47840) ATL (Christian Volpati Collection). Image: 934078. 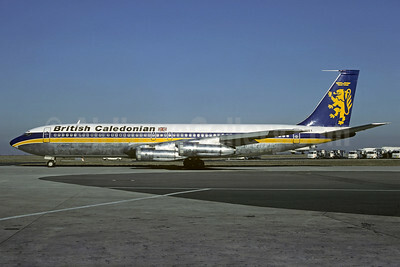 British Caledonian Airways McDonnell Douglas DC-10-30 G-NIUK (msn 46932) LGW (Rob Rindt Collection). Image: 925506. 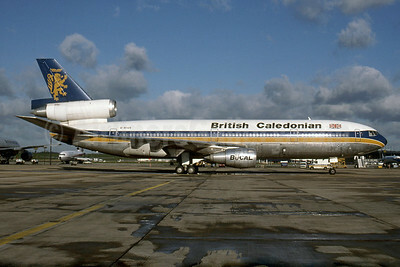 British Caledonian Airways McDonnell Douglas DC-10-30 G-NIUK (msn 46932) LGW (SM Fitzwilliams Collection). Image: 911939. 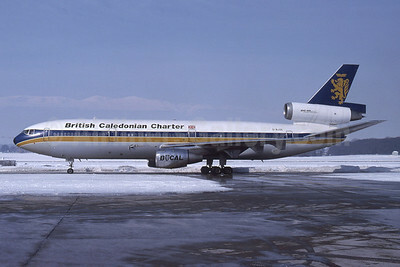 British Caledonian Charter McDonnell Douglas DC-10-10 G-BJZE (msn 46973) (Rob Rindt Collection). Image: 925507.